Understandably they focus on their immediate needs and therefore on the obvious assets such as the house and savings, lacking the emotional energy required to focus on future needs! Retirement just seems too far away to worry about at a difficult time and so pensions can be ignored. Those people are almost certainly doing themselves a disservice. A number of financial institutions have recently warned people that they are not making adequate provision for their future and, statistically, divorced people are the most at risk. So, when considering finances on divorce, it is crucial to give proper consideration to all the assets available and to obtain expert advice not only on their true value but also on what the various settlement options including pensions could mean for you both now and in the future. For this reason, we work closely with a number of pension experts and financial advisors to ensure that our clients always have the right advice to enable them to make informed decisions. Lora has been part of the Buss Murton family team since 2001. 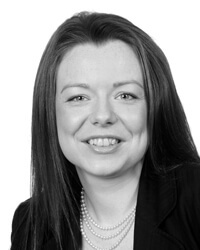 She is a member of the Chartered Institute of Legal Executives and qualified with distinction in Family Law and Practice. Lora has wide experience in all areas of family law and predominantly advises clients who are divorcing or separating and who need to resolve issues relating to finances and children. Lora particularly specialises in complex residence and contact cases, including cases in which one parent wishes to take children to live in a different country. Lora also works closely with Melanie den Brinker who is head of the family team to provide an expert and cost sensitive approach to matters involving complex and high net value financial cases. Online divorce applications but what about the financial settlement? Does divorce inevitably mean war? The simple answer is no! Finances on divorce – Is “special contribution” a justified argument or an outmoded concept?